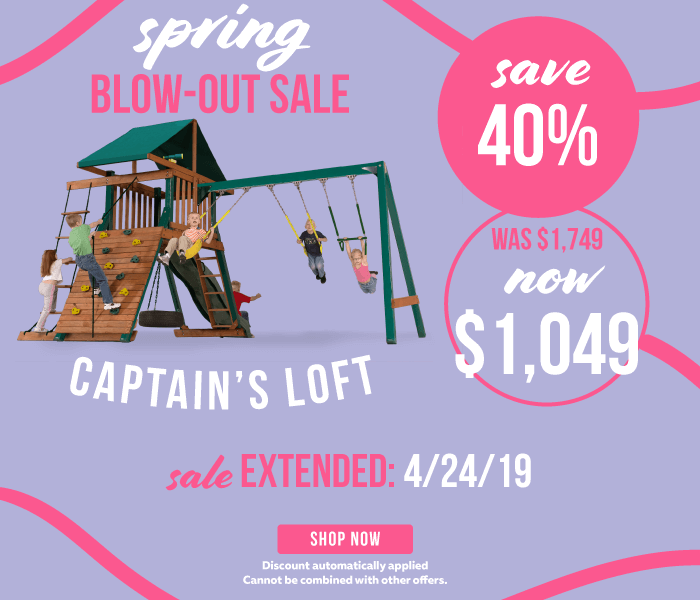 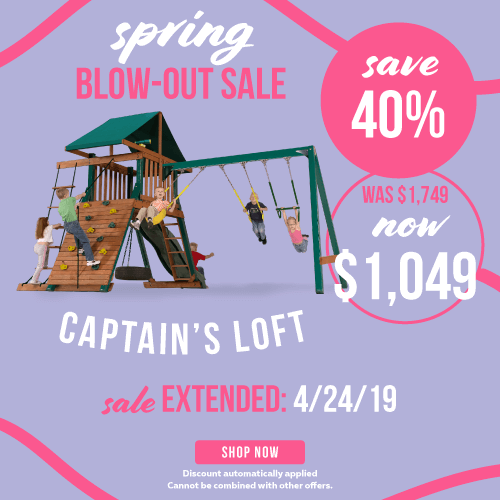 SAVE 40% ON THE CAPTAIN'S LOFT SWING SET! 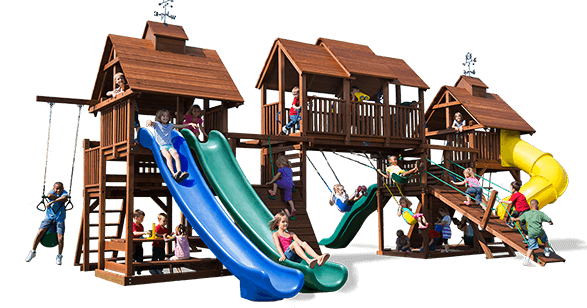 For the highest quality swing sets, choose redwood. 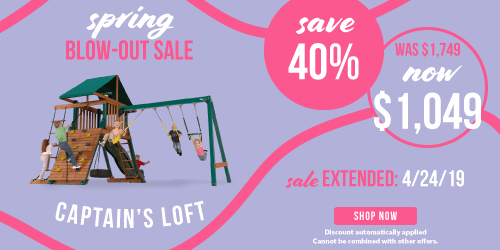 I’ve never made a better purchase than a Kids Creations swing set. 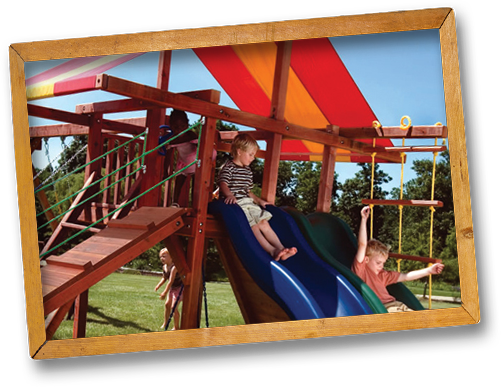 Share your photo with #KCSwingset for a chance to be featured!